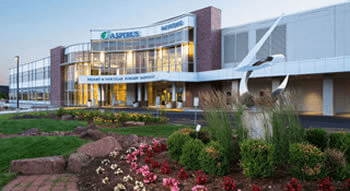 If you or a loved one has a condition that requires surgery, Aspirus offers the latest technology and surgeons skilled in performing a wide array of inpatient and outpatient procedures ranging from routine to the most complex of cases. No matter how common or complex your surgery may be, Aspirus has the expertise to offer you the best possible outcomes. Many procedures today are minimally invasive, which reduces recovery time and gets you back to the activities you love faster. Aspirus will be with you every step of the way, from initial scheduling to recovery and follow-up care. You are a unique person, with a unique medical history - your pre-operative assessment will be tailored to your needs. For your safety, you're asked not to eat or drink for several hours before your sugery. Why? Anesthesia generally involves giving medications that partially or completely diminish the body’s reflexes. Without protective reflexes (such as coughing and gagging), it is possible for food or fluids taken before surgery to “reflux” from the stomach into the esophagus. These partially digested materials may then pass down into the lungs. In the lungs, partially digested stomach contents can cause serious inflammation problems resulting in Asthma-like reactions, pneumonia, poor oxygen delivery to the brain or heart, or even death. The risk of serious injury is so high that people scheduled for surgeries or procedures requiring sedation are held “NPO” or without food, fluids and other substances such as chewing tobacco, gum or hard candy. While gum or chewing tobacco may not always be swallowed, they stimulate the production of saliva, which is swallowed. Smoking avoidance is also strongly recommended. Smoking delivers substances to the body, which then facilitates gastric fluid reflux into the esophagus and (again) causes problems in the lungs. It is also a good idea not to smoke after surgery as it can slow healing. The period of time people are asked to not eat, drink or smoke prior to surgery may vary with age and situation. Generally, there will be some period of fasting specified in your pre-procedure instructions. If you are unsure about what to do or have special considerations such as diabetes or other conditions effected by not eating or drinking for some period of time, contact your physician a few days prior to your procedure. Lastly, if you mistakenly eat or drink prior to your surgery or procedure, be honest with your health care providers. They would much rather you tell them then find out after a problem occurs. Unfortunately, this may result in delaying or rescheduling your procedure. On the day of your procedure, check-in with our friendly registration staff. Please plan to have someone stay at the hospital while you're in surgery. We will keep your family and friends updated on the status of your surgery. If you received any sedation or anesthesia during your procedure you will need an adult (someone 18 years or older) to drive you home. Please make these arrangements before arriving for your procedure. In addition, it is preferable to have an adult with you at the hospital throughout your stay. You will also need someone to stay with you for 24 hours following your procedure. Find information on common surgeries and procedures, including what to expect before and after, our health encyclopedia.